Just like any other Android tablet, we have to root the device to avail more features in the Tablet. After rooting, you can install Custom ROMs, Mods, Tweaks, etc. 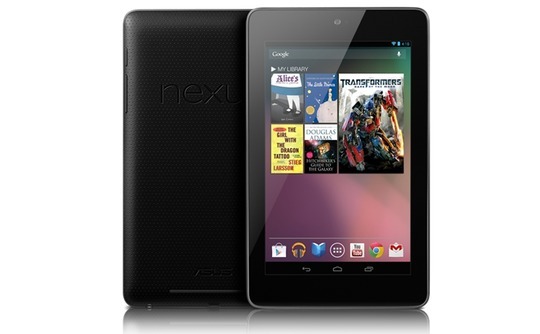 In this article, I'll guide you on how to root Google Nexus 7 Tablet. But, before that please read the disclaimer and prerequisites for your safety only. Enable USB debugging on your phone by going to ”Settings > Applications > Development > USB debugging”  where the USB Debugging option should be ticked. You need to have Android SDK installed on your PC. Download Clock Work Recovery(CWM) from HERE. Download rooting package from HERE. Connect your Nexus 7 tablet to your PC and enter bootloader mode. Place the Clock Work Recovery(CWM) zip file that you downloaded above in the fastboot folder present in the Android SDK. Now open command prompt/terminal and navigate to the fastboot folder. Now type the following command: ”fastboot oem unlock“. Once the unlock is complete type: ”fastboot reboot“. Now,boot into recovery and navigate to “Mounts and Storage” and then go to “Mount /System“. 9. You have successfully flashed CWM on your Nexus 7. Place the rooting package you downloaded above in the root of your SD card. Now turn off your device and boot into recovery by pressing Volume Up+Volume Down +Power buttons. Now navigate to “install zip from sdcard > choose zip from sdcard > JB-SuperSU.zip“. After the flashing is complete select “reboot system now“. You have now successfully rooted your Google Nexus 7 tablet!